Rangelands are a type of land that include vast grasslands, shrublands, woodland, wetlands and deserts, grazed by domestic livestock or wild animals. They comprise almost one-half of all the lands in the world. This book analyzes the sustainability of beef cattle systems of the Spanish Rangelands known as “Dehesas.” These systems are considered as outstanding High Nature Value (HNV) farming systems and the most agroforestry systems in Europe. Additionally, on a global scale, China has around one-eighth of the rangelands (the second largest area of land in any country other than Australia). These rangelands are mostly inhabited by peoples of various ethnic minorities. This book provides an overview of the environment and current development trends in the pastoral regions including a glimpse of the people affected most by any conservation or development effort and provide a framework for future integrated conservation and development work in the pastoral regions of north and north-west China. Furthermore, land degradation and biodiversity loss are the most critical issues of ecological environmenti n the West of China and they are the main causes for poverty and constraints for economic development. This book examines rangeland degradation in China as well as rangeland management and livestock production in an effort to arrest and reverse rangeland degradation. In other chapters, changes in vegetation related with grazing are reviewed, the benefits of reintegrating burrowing bettongs as a part of rangeland restoration programs, and integrating national feral camel management plans that are being implemented across the camel range in Australia, aiming to control the damage caused by camels (there are around 750,000 feral camels in arid and semi-arid rangelands in Australia). 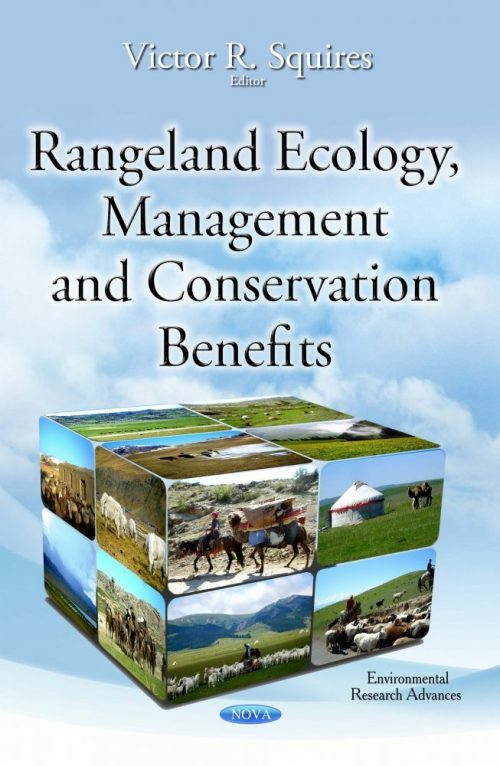 The book will be valuable for researchers, academic and policy-makers as it provides insights into issues faced and solutions attempted in less well-known rangeland situations. The extensive bibliography will give access to literature that may be in languages other than English.